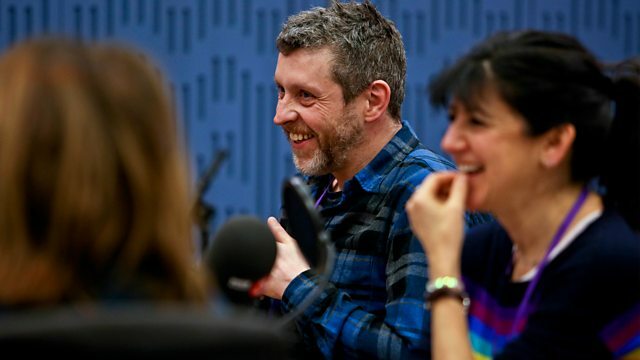 Clive Anderson and Emma Freud are joined by Sheila Ravenscroft, Dave Gorman, Anna Jordan and Angela Barnes for an eclectic mix of conversation, music and comedy. With music from Fatima and Lisa O' Neill. 'With Great Powerpoint Comes Great Responsibilitypoint' is touring from 25th January until 28th February. 'Independent Venue Week' runs from 28th January to 3rd February at various music venues across the UK, including John Peel Centre For Creative Arts in Stowmarket. 'Angela Barnes: You Can't Take It With You' is on Wednesday nights at 18.30 on Radio 4 and repeated on 4 Extra. Her tour Rose-tinted kicks off on the 6th February at Brighton Komedia. 'The Unreturning' is at Theatre Royal Stratford East until 2nd February, before touring. ‘And Yet It's All Love’ is available now on Eglo Records. Fatima is performing at London's Roundhouse on Tuesday 23rd January as part of their ‘In the Round’ series. 'Heard a Long Gone Song' is available' now on River Lea Records. Lisa's performing at ‘Imagining Ireland’ at London's Barbican on 30th January, Celtic Connections, Glasgow on 2nd February and is touring in April.